Duke University is a private research university located in Durham, North Carolina, United States. CSIRO is Australia’s national science agency. Through the Oceans and Atmosphere Division, CSIRO works nationally and internationally to provide solutions for enduring social, environmental and economic value from our oceans. LMMA is an international network of natural resource management practitioners working in Asia and the Pacific, who have joined together to share best practices, lessons learned and to amplify their community voices. Secretariat of the Pacific Community (SPC) is the principal scientific and technical agency supporting development in the Pacific, proudly owned and governed by its 26 members including all 22 Pacific Island countries and territories. 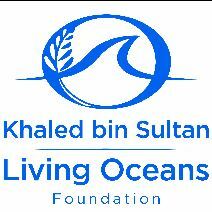 The Khaled bin Sultan Living Oceans Foundation provides science-based solutions to protect and restore ocean health. The Foundation was established in 2000 by His Royal Highness Prince Khaled bin Sultan of the Kingdom of Saudi Arabia to help preserve the world’s oceans and aquatic resources through scientific research, education, and outreach. Since then, the Foundation has organized many large-scale scientific surveys including the Global Reef Expedition – the world’s largest coral reef survey and high-resolution habitat mapping expedition. The Khaled bin Sultan Living Oceans Foundation has provided MACBIO with much-needed information on the remote coral reefs of Fiji, Tonga, and the Solomon Islands that will help us build tangible tools for use in marine spatial planning and conservation. The Foundation conducted extensive surveys of coral reefs in these three countries while on the Global Reef Expedition, which circumnavigated the globe to map and assess the health and resiliency of coral reefs. During the Global Reef Expedition, the Living Oceans Foundation conducted hundreds of coral reef surveys and created high-resolution maps of shallow-water marine ecosystems in Fiji, Tonga, and the Solomon Islands. The Foundation generously donated all of the data they collected on benthic cover and assessments of fish abundance and biodiversity in these three countries. They are also providing us with some technical support as well as high-resolution habitat, satellite and bathymetric maps. This research is helping fill critical gaps in knowledge in these remote island areas, which will integrated into our marine spatial planning efforts in the region. Effective ecosystem-based management, productive marine protected areas, and well-managed marine resources will help to sustain the coastal ecosystems – and the people and livelihoods they support – for generations to come. GRID-Arendal is a centre collaborating with the United Nations Environment Programme (UNEP), supporting informed decision making and awareness-raising. The Wildlife Conservation Society Fiji program works with communities and the Fiji Government to protect biodiversity and natural resources through sound management practices. WWF Fiji has the following programs: Sustainable Seafood Program, Great Sea Reef Program, Turtle Program, Mali Fiji Community Development Program and the Sustainable Sugar Program.